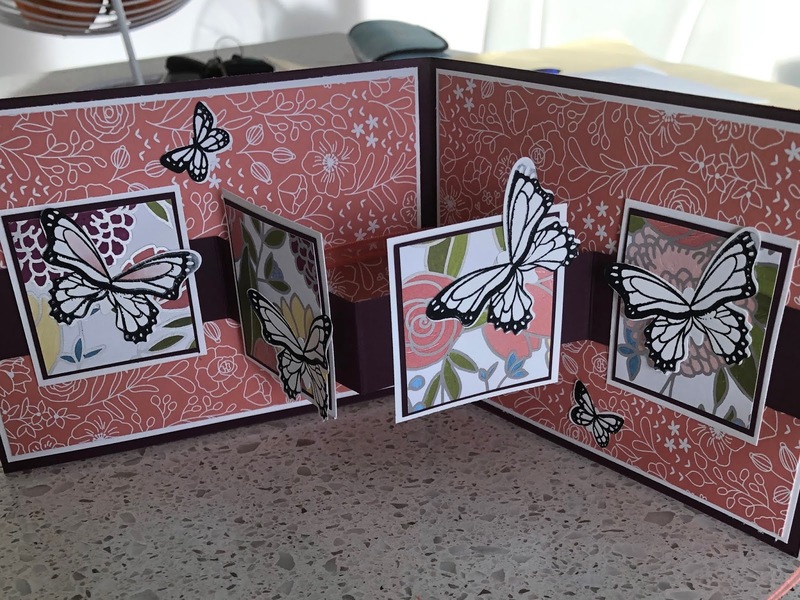 This months card class saw our ladies creating a beautiful card from the Butterfly Gala Suite in the Occasiopns and saleabrtion catalogues. Our monthly classes are such a creative and social event for us and the new techniques and stamping creations send these ladies home feeling really accomplished and pleased with their work.....as they should be, they’ve come a long way since the first class they attended last year. 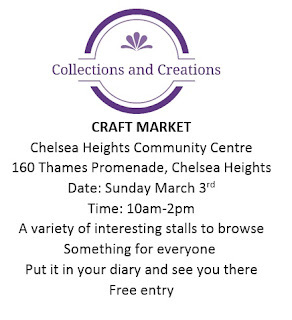 Also a reminder that our new Collections and Creations indoor market is coming up on March the 3rd at Chelsea Heights Community Centre, 160 Thames Promenade Chelsea Heights!! I know it’s been as while (again), however life has been somewhat tumultuous over the last 12 months! Have the amazing Saleabration happening at the moment.....for every $90 you spend, you get to choose a FREE item from the saleabration catalogue! From stamp sets to dies, punches, papers ribbons....you name it. Classes are up and running on a monthly basis and we are having great fun creating lovely projects. The ladies learn something new at every class and are so pleased with their achievements, as they should be. 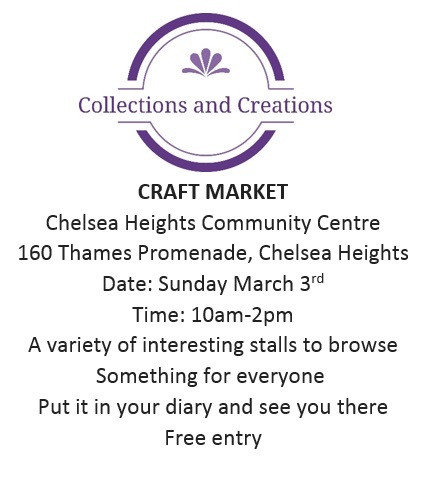 On another exciting note....Our Collections and Creations Indoor Markets begin on 3rd of March at the Chelsea Heights Community Centre!! They will run on a Sunday, quarterly and I will post the other dates soon! So far we have 33 stalls and growing! There’ll be a coffee truck outside also selling cold drinks and snacks. Our committee has worked really hard to ensure we bring quality stalls with NO second hand goods or trash and treasure. 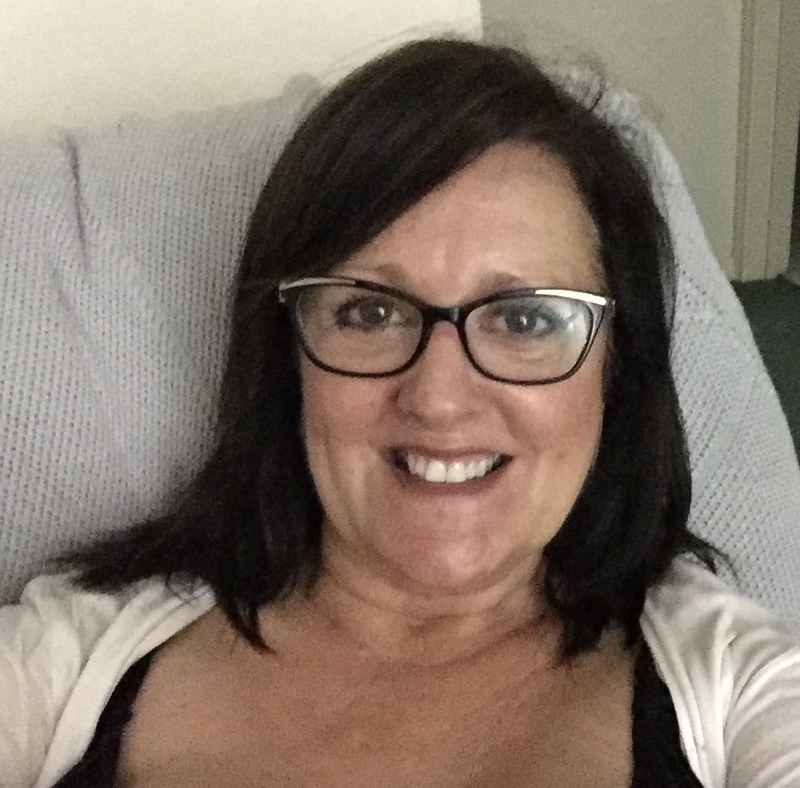 The managers (of whom I will post photos of in the next post along with the committee pics also) have been so fantastic and obliging with our requirements and we cannot thank them enough. It’s going to be ideal throughout the year and seasons with it being indoors, not only for stallholders, but for you the consumer as well. I feel like a bragger being able to order gorgeous products before anyone else. Yep, only for demos. Needless to say, my big brown box was filled with amazing new colours, stamps, papers and ribbons....and theres so much more to come! My favourite of the products is the ‘Statement of the heart’ stamp. It’s my motto for life and I will use it a LOT! Sadly it is not available at all after pre order ends, it will not be in the new catalogue. 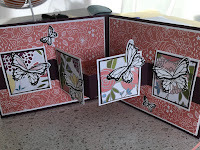 I wanted to do it justice so, using new papers ‘Tranquil Textures’ and dies and stamps from serene garden, I’m hoping I achieved that. All shades of green are my favourites, so clearly I had to use them. The original designer I cannot recall, however, this is MayMays’ take on the original with my ‘twists’. I hope this inspires you for when the new 2018-2019 catalogue goes live on June 1st. This gorgeous bundle can be ordered from 1st of May for customers, however, if you join my team now you can purchase this as part of your kit for a significantly reduced price! I have this bundle and let me tell you, it’s stunning! The paper is just beautiful! Not to mention everything else! 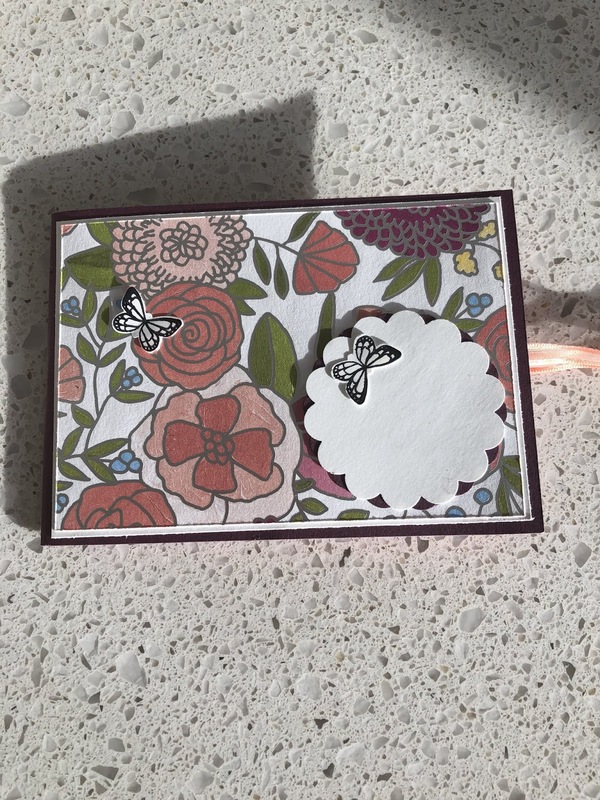 So, it’s almost time, the new Stampin’ Up! catalogue is almost here. Just to tease us, they have allowed us to purchase a couple of ‘bundles’, and let me just say, they are just stunning! I’ve purchased the ‘ I want it all’ bundle and the new ‘in colours’. 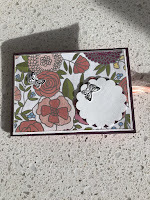 Oh my goodness, Stampin’ Up! Have outdone themselves. Clearly they listen to their Demos and Customers! Now is such a great time to join, not only do you receive 20% off all purchases, but the new products can be used in your starter kit! Use the contact me button for more info! Once my order arrives I’ll post some pictures of the products and some projects! Lgots of crafting AND shopping fun ahead!